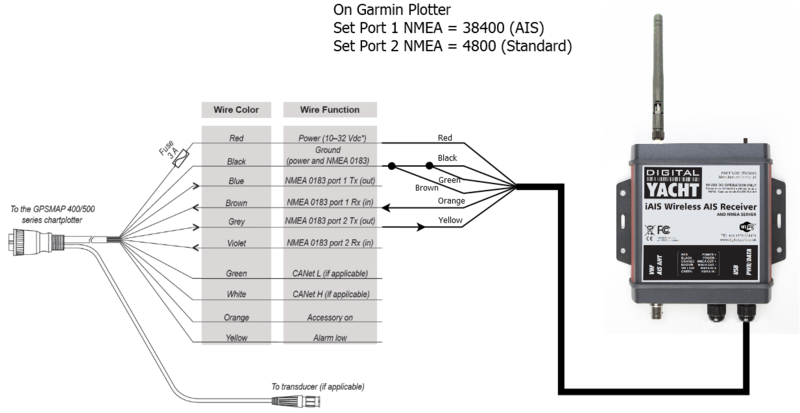 The Garmin 400 and 500 series plotters are some of the most popular small boat chart plotters on the market and it is not surprising that we get many enquiries about how to connect our products to them. Normally customers just want to add an AIS receiver or transponder to their Garmin unit, but last week we had an interesting enquiry from a customer that wanted to add AIS, but also wanted a wireless solution for his iPad. This particular customer only wanted to receive AIS targets and so our iAIS was the obvious choice but had he wanted a transponder then we could have done a similar setup with one of our AIT2000 and WLN10HS units. As we were discussing how the two systems would wire together, I realised that with the two NMEA 0183 ports that the Garmin has and the NMEA 0183 input (4800 baud) that our iAIS has, that we could also have GPS data and other NMEA data from the Garmin transmitted wirelessly to the iPad with the AIS data. The benefits of this arrangement, are that any iPod Touch, iPhone or iPad can receive AIS and GPS data anywhere on the boat, even if they do not have their own internal GPS, such as the Wi-Fi only iPad and iPod Touch. Even 3G iPads and iPhones that have their own internal GPS, will benefit from the always on, Garmin GPS which should be more accurate, particularly when you take your iPad/iPhone below deck. Of course a suitable App will be required to read the AIS and GPS data, but with some recent new app releases, the number of available Navigation Apps that support wireless NMEA are growing. This particular customer intended to use the popular iNavX app, but other apps worth considering are; iSailor from Transas, iRegatta from Let’s Create, the new Imray app or the SailTimer app that I recently wrote about. The customer was delighted with the proposed solution and I quickly drew up the following connection diagram and sent it to him. I hope that by publishing this article, many other Garmin 400 and 500 series owners might benefit from a new wireless AIS solution. 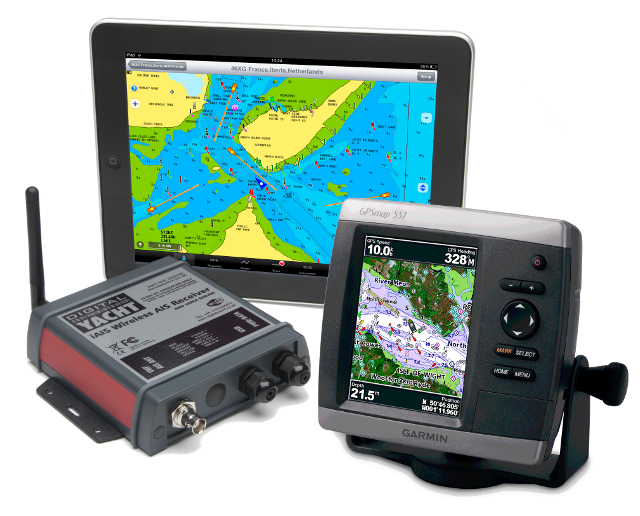 Would this setup work with a Garmin 276, a Simrad IS20 sail pack and an iPad no Gps? I don’t think the 276C from Garmin is AIS compatible but please double check in the manual. So whilst iAIS will accept an NMEA input of position data from the Garmin and relay this to the iPad, you can’t use the Map 276 to show AIS targets – sorry!